The meeting may still be in full swing but it’s not too early to take a look back at some highlights of the past few days. Check out AMS’s flickr page for photos of the student conference, WeatherFest, Keep Austin Beautiful, the Exhibit Hall, and attendees in action. You might even see yourself in one. 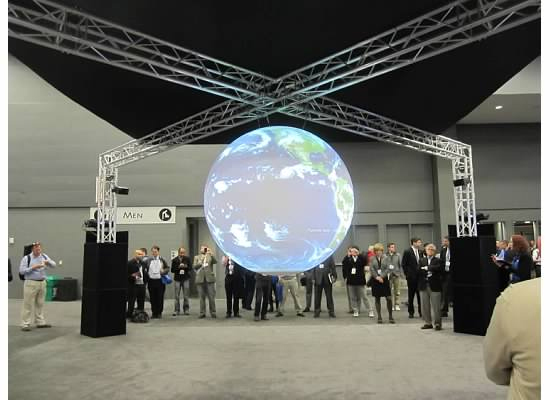 Attendees watch the weather of the world in the Exhibit Hall. 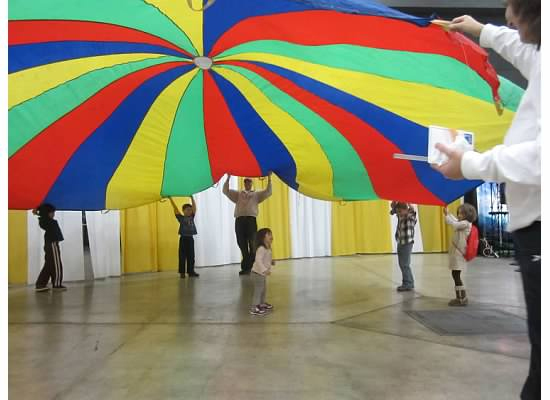 Children enjoy the popular parachute activity at WeatherFest. Go to flickr to see more and be sure to check back regularly for additions.